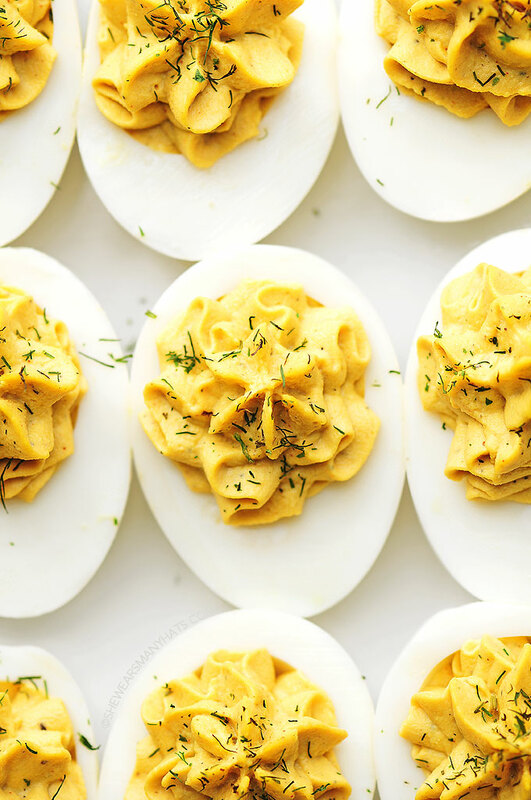 Deviled Eggs are one of my favorites foods to enjoy all year long. This classic recipe makes the perfect little bite to add to any meal or party spread. I love Deviled Eggs. I always have. If you like Deviled Eggs as much as I do, you know how difficult it is to try to eat just one. Usually we only enjoy them around the holidays or for special occasions, in which case, I can’t dump several dozen on my plate and find a hiding place to eat them in secret. That would not be in the holiday spirit! No, not one bit. But don’t think it hasn’t crossed my mind. Deviled Eggs do seem to be the first thing that disappears on a dinner buffet. Just like that! Thankfully they are so very easy to make. Dozens of these savory bites can be made in relatively no time, ready to please Deviled Egg lovers all over the world. Deviled Eggs can be prepared a day or two ahead of time then cover and refrigerate until ready to serve. Refrigeration is a must until serving time. I repeat, refrigerate these babies. The recipe below is a classic Deviled Eggs combination, and it is certainly a keeper. 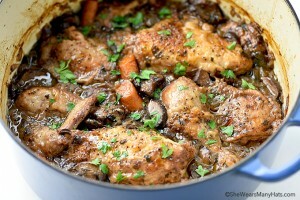 An online search will show you a wide variety of different versions to this classic recipe. Sometimes I like to add pickle relish and maybe a bit of cayenne pepper to switch things up. 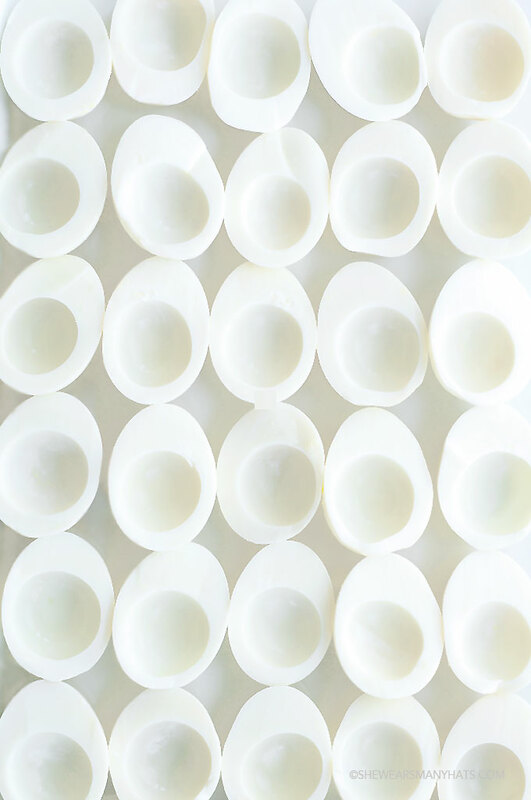 You can find tips for cooking hard-boiled eggs all over the place, but the Incredible Edible Egg folks have super advice on the subject. 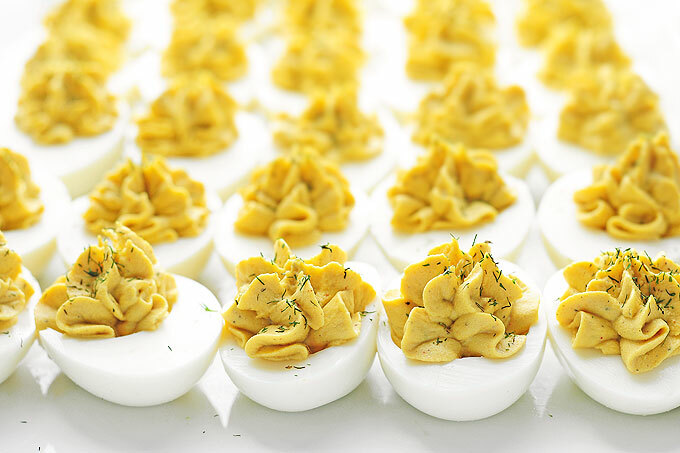 Deviled Eggs are a favorite appetizer or side dish for any time of the year. 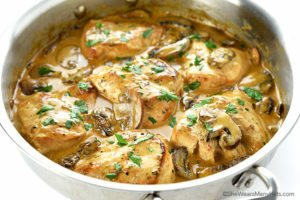 You'll find this classic recipe easy and delicious! Slice eggs in half lengthwise. Remove yolks and place in a mixing bowl. Using a fork, mash the yolks. Add mayonnaise, mustard, salt, pepper, and paprika and mix until smooth. Fill each egg white half with equal amounts of yolk mixture. Garnish each egg with a sprinkling of dill. Refrigerate covered until ready to serve. I love eggs I love everything made with eggs and I have always been too “chicken” to try deviled eggs. These look FAB and I might just have to give them a try! Deviled eggs are the besssssst!! These look so good! Deviled eggs and I are the very, very best of friends!!! Love ’em! Hard-boiled perfection! I love the overhead photo of the whites. I love deviled eggs! These look amazing delish! Pinning! When my family made Deviled Eggs we always added Deviled Ham to them. I always thought that was why they were called “Deviled” Eggs. 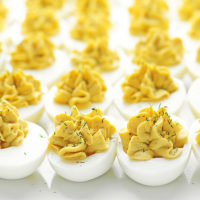 Today many other foods, including eggs and crab, are served “deviled.” To be considered deviled, a food has to have a kick from something like Dijon mustard, hot sauce, cayenne pepper or chopped hot peppers. Turned out great! Next time I’m using my mixer to blend ingredients better and refrigerate the mixture before putting in eggs. Sorry I missed replying to this last night. Glad to see everything worked out. Good grief these photos!!! Love your work Amy! 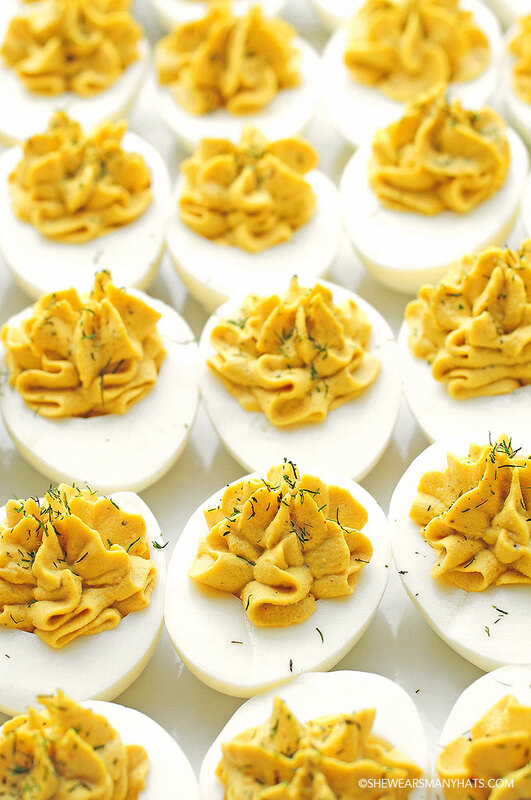 Stunning perfect deviled eggs! I used a frosting bag fitted with a large star frosting tip. This is pretty much how I make my deviled eggs but I add a slash of white vinegar. Gives them just a little something, something. Everyone loves them but can’t figure out why!!! 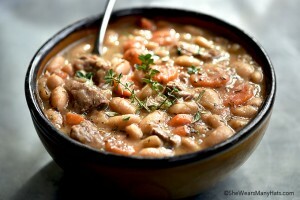 I grew up with a recipe similar to this and they are great! I now like to add some juice from a jar of jalapenos and cooked, cooled and crushed bacon to my yolk mix on occasion. They add something really special to the flavor! Oooh, that does sound delicious, Lizzi. Will try that next time! Good idea to cook one or more extra eggs from what you need. That way, if one of the whites tears you have a back-up. Also, having an extra yolk or two allows for more filling for a fuller look. I also add sweet pickle relish. I followed this recipe exact. I mean to the T. It is way to mayonnaisey. I do not recommend it. 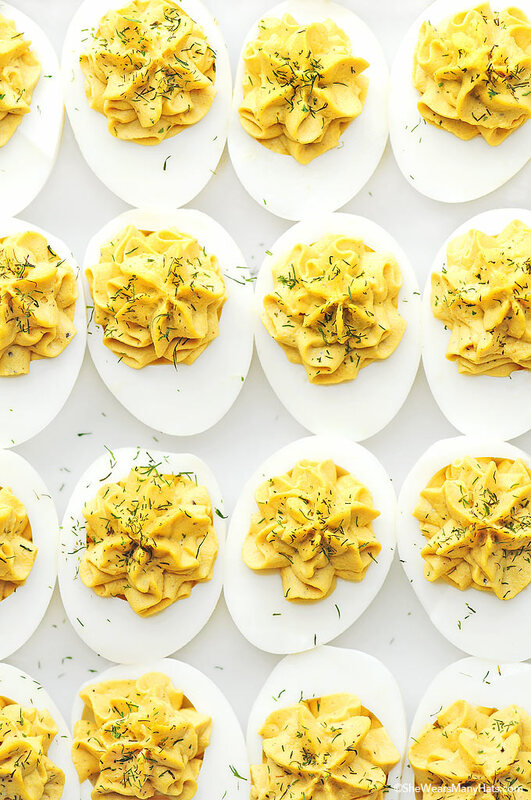 This is the perfect deviled eggs recipe that I know and love. I’ve never sprinkled dill over the top (only paprika), but I will now. These sound pretty close to how I make mine so they must be good! LOVE deviled eggs! Oh, that sounds like something my blue cheese loving husband would like! Thanks Joe! I love deviled eggs. They look so good. 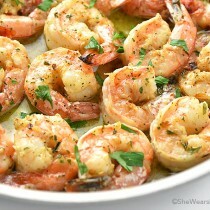 Pretty much how how I make mine but I add a little garlic powder & minced onion. Sometimes just a touch of horseradish to spice things up. For those people that don’t like so much mayonnaise, just use half as much and sub sour cream for other half . Dill relish and vinegar are great addition. I always sneak a sliced jalapeño in bottom of each egg. Your recipe and these suggestions sound awesome . 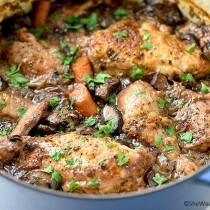 This will be an Easter surprise for dinner and will definitely score with my son in law. Thanks so much! i agree??? 6 or 12 eggs? 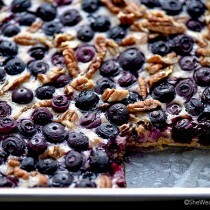 Pingback: 17 Super Bowl Snacks I'm Actually Making for My Super Bowl Party | Ridiculously Pretty!